A cash machine has been stolen after a vehicle was driven into the entrance of a zoo, police have said. 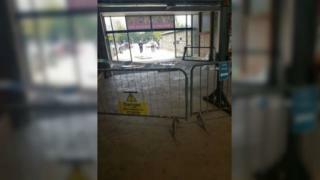 Leicestershire Police said the raid at Twycross Zoo, in Leicestershire, took place at about 05:35 BST on Tuesday after alarms were activated. Officers said no other items were believed to have been stolen, and no harm is thought to have been caused to any animals. The BBC has contacted the zoo for comment.